brian fisher: Yes, if you need one. See Contact us | Advice or general enquiries | at800 for the numbers to call. I have a good signal strength but I have problems receiving all channels and some of my TV's in my house work better with out an aerial. The problem started a couple of months ago when we replaced the external aerial. So wondered if 4g could be the problem. Colman: Firstly, we need a postcode, becuase we have no idea where you are in relation to the 'new mast'. 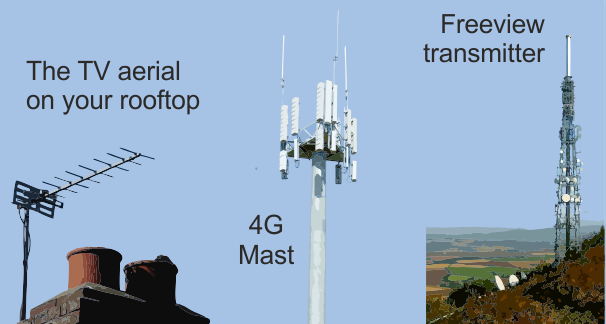 Secondly, if you were close enough for a mast to give you a problem with 4G, then its likely you were sent a filter through the post from A800 anyway. You can ring them, and they will send you one free, but just becuase you thing 4G is the culprit, its doesn't mean it is - in fact the bulk of supposed 4G problems reported on this site have been nothing of the kind. Check your signal strength, and which transmitter your tuned into, and then make sure that your aerial system is working properly. I had 4 G masts upgraded allover reading made UHF anolouge signals for my old tv collection rendered 61 to 68 useless unless i put on signal reducer that sorts it out but leave all tv pictures snowy.... cannot do anything about it... will a 4 g filter be worth trying? Rob: Not quite sure about exactly what you are meaning, but though "if" you are referring to a 4G transmitter affecting the analogue output from a Sky boxes modulator? then a 4G filter fitted in line with the Sky boxes aerial input socket should (in theory) rectify the problem. 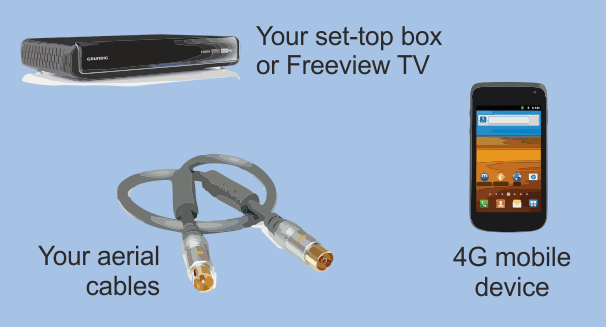 Its also advisable to set the modulators output on a lower channel number, of course ensuring that it doesn't clash with any of the Mux channels used by the station you receive Freeview from. I am having problems watching Netflix. Could this be down to G4 in my area? Colin Legg: netflix is an internet service, and has nothing to do with TV broadcasts at all. In fact you could well be watching it via 4G. If Netflix is buffering, thats probably due to your broadband speed.